Welcome to the International Ocean Fund Support page! Thank you so much for taking the time to visit our support page! We are a family/community who aim to work together to create a true Ocean Hobby Industry Model City/Base (ongoing project in Paraguay), and eventually, many parts of the world, to usher in a true Ocean Era, based on the ideologies of the founder of our project, Rev. Sun Myung Moon. Details on why/how we are working on this project, as well as progress reports and detailed ocean-related presentations will be posted as our articles and news, as well as in our magazine. We also seek to present educational materials regarding Rev. Sun Myung Moon's "Ocean Providence," which was an oceanic tradition/ideology developed by him throughout his life, centered on the idea that the future of humanity is deeply tied to the ocean and how we as human beings manage and interact with the seas. We are publishing our first English issue of the True Ocean Era (Kaiyou Shinjidai) magazine very soon! It's in a smaller scale compared to our Japanese version, but it's a start! If you've landed here from the magazine, thank you again for taking the time to consider supporting us! 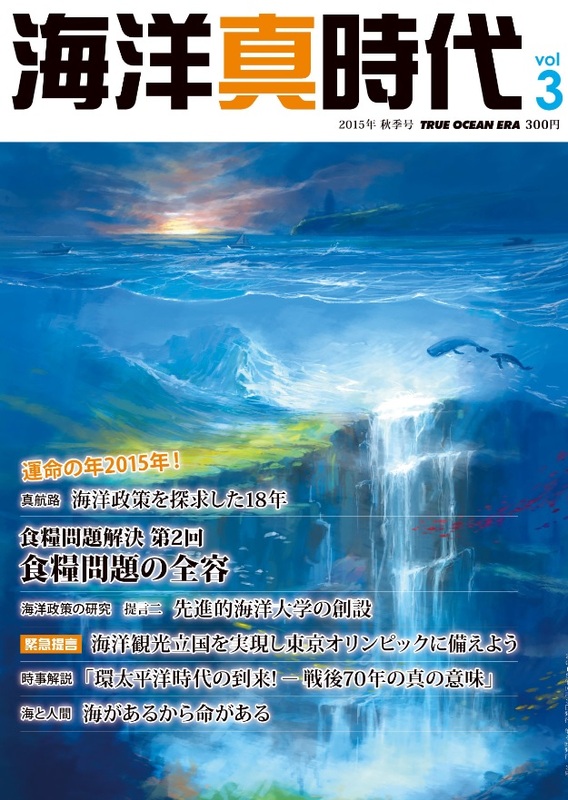 If you like writing about ocean news, technologies, ideas, and others, or simply would like to get involved in the magazine, please let us know~! We also are looking to provide the digital versions of this magazine FREE of charge. To do this, we are looking for a sponsor (or two, or three) for every issue, so that we can spread the magazine far and wide. If you would like to sponsor a future issue, please also let us know! We will have a small advertising section if you own a company or an organization. It is said, "Ones who dominate the seas will dominate the world." We have entered an age of the Pacific Rim, the Century of Ocean. Did you know that a mere 5% of the oceans of the earth is explored? Ocean is the starting point and the lifeblood of the entire living populations of this world, and yet we know less about the ocean than we know about Mars. How we utilize and develop oceanic technologies, lifestyles, culture and civilization will decide the future of our world. Going out to the ocean and interacting with the seas also cultivates a true human nature that we cannot otherwise do, making the ocean an essential training ground especially for youths and people from any and all walks of life. When you are on a boat, you're at the mercy of the ocean, nowhere to hide or run, no way to predict what is going to happen next, giving you no choice but to surrender yourself to God and mother nature. In this state, we can cultivate a deeper sense of humanity. Rev. 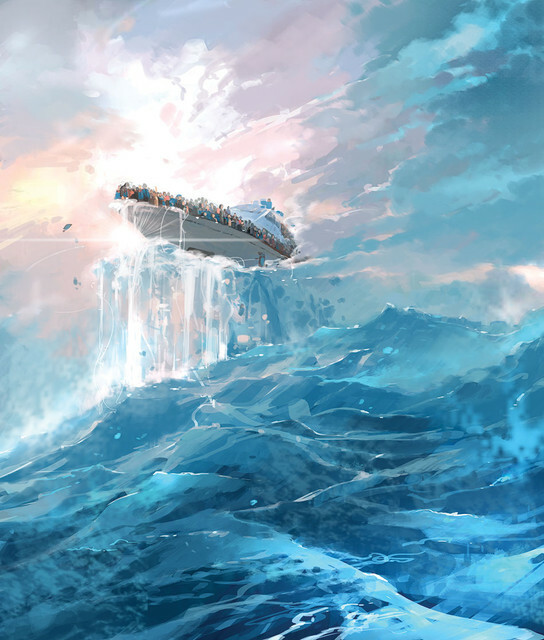 Moon has spent a considerable amount of his lifetime on the seas and developed traditions called the "Ocean Spirit." Rev. Moon aimed to establish ocean hobby industry model cities around the world based on his ocean-going traditions and ideals, and started myriad of projects in places like Alaska, New Jersey, Hawaii, Yeosu, Korea, and others. He designed his own brand of boats called the Good Go boats. Starting with a boat factory in a plot near Asunción (right across Paraguay River, soon to be a part of New Asunción City), Paraguay, we are aiming to build an industrial/hobby-resort complex fit for the inevitably dawning Ocean Era. The Pantanal region in Paraguay is often called the "lungs of the world." We aim to advance the ocean hobby leisure industry while preserving mother nature and sustainability, at the same time providing Paraguay and its people with the top tier advanced marine technology. More information on our ongoing activities and regular updates will be posted on our feed, facebook page [https://www.facebook.com/oceanhobbyseminar/] , and through our email updates (for those of you who signed up to be updated through email). Any support you can give here (starting from a $1 a month) will go to further our goal in this endeavor. We have set up several contribution tiers. For anyone who contributes above $10 per months, we will send the physical copy of our magazines whenever it becomes available. ALL contributors will be able to read the magazine digitally. For anyone who contributes over $25/month, there is an option to receive our full Japanese magazine (more fleshed out, more articles, and more contents) will be available. Again, as our magazine is going to look for sponsors to publish every issue, digital versions will be available for FREE for everyone. Thank you! And please consider becoming a sponsor for a future issue! Please note all tiers are MONTHLY contribution/subscription. We thank you deeply for any amount of contribution! Let us build the true Ocean Culture and Civilization together! And most of all, you will be part of a family and community that strive to bring a quantifiable change in our world! Let us build a true oceanic culture and civilization! We will ship you our magazine, "True Ocean Era" (ENG) whenever a new issue is available. +++For Japanese subscribers, the quarterly magazine, "Kaiyou Shinjidai" will be mailed to your address roughly 4 times a year. +++Along with the magazine, the fine art print of the painting used in the current issue of the magazine will be sent. +++For English speaking subscribers, English magazine, "True Ocean Era" will be shipped to you along with a collectible ocean themed fine art print whenever a new issue comes out. PLUS: Access to updates on our activities, new articles, videos, presentations.